Love this quote to start the week! Many things come to mind when I hear the word courage. Webster Dictionary's definition of courage is "mental or moral strength to venture, persevere, withstand danger, fear or difficulty." 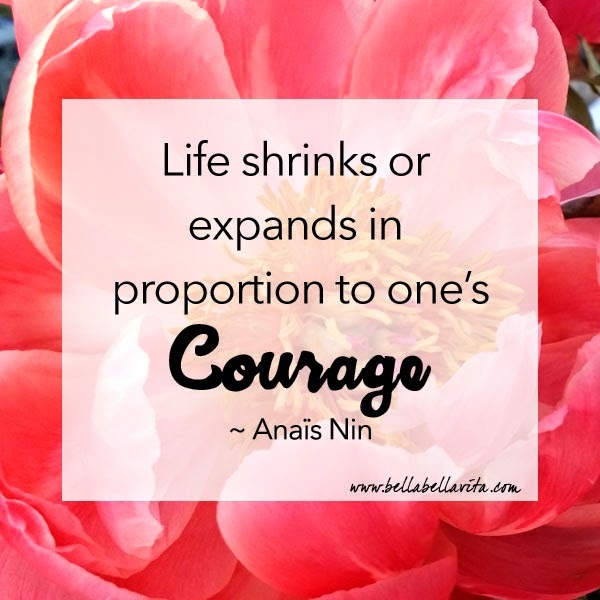 It takes courage to venture out of our normal and expand our world.